**MP3**, **BLUETOOTH, HANDS-FREE**, **IPOD ADAPTER**, **USB**, **KEYLESS ENTRY**, **REAR BACKUP CAMERA**, **ACCIDENT FREE CARFAX**, **CARFAX ONE OWNER**, Chrome-Accented Door Handles, Convenience Package, Power Liftgate w/Jam Protection, Smart Key System. Odometer is 99787 miles below market average! CARFAX One-Owner. Clean CARFAX. 2011 Toyota Venza Base 3.5L V6 SMPI DOHC FWD Roswell Toyota is the Premier automotive dealership in southeast New Mexico, and we dare you to compare our quality and price to any other dealer. **MP3**, **BLUETOOTH, HANDS-FREE**, **IPOD ADAPTER**, **USB**, **KEYLESS ENTRY**, **REAR BACKUP CAMERA**, **ACCIDENT FREE CARFAX**, **CARFAX ONE OWNER**, **AWD/4X4/ALL WHEEL DRIVE/4WD**.CARFAX One-Owner. Clean CARFAX.2018 Toyota 4Runner SR5 4.0L V6 SMPI DOHC 4WDRoswell Toyota is the Premier automotive dealership in southeast New Mexico, and we dare you to compare our quality and price to any other dealer. Recent Arrival! Clean CARFAX. 2015 Toyota Tacoma PreRunner V6 4.0L V6 EFI DOHC 24V RWD Roswell Toyota is the Premier automotive dealership in southeast New Mexico, and we dare you to compare our quality and price to any other dealer. Recent Arrival! Clean CARFAX. 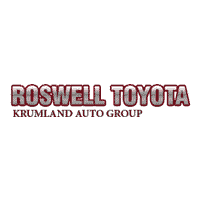 2012 Toyota RAV4 Base 2.5L 4-Cylinder DOHC Dual VVT-i 4WD Roswell Toyota is the Premier automotive dealership in southeast New Mexico, and we dare you to compare our quality and price to any other dealer. Recent Arrival! Odometer is 14119 miles below market average! Clean CARFAX. 2016 Toyota Tundra SR5 i-Force 5.7L V8 Flex Fuel DOHC 32V LEV RWD Roswell Toyota is the Premier automotive dealership in southeast New Mexico, and we dare you to compare our quality and price to any other dealer. Recent Arrival!Odometer is 43099 miles below market average!Clean CARFAX.2012 Toyota Tundra Limited CrewMax i-Force 5.7L V8 DOHC 4WDRoswell Toyota is the Premier automotive dealership in southeast New Mexico, and we dare you to compare our quality and price to any other dealer. Recent Arrival! **MP3**, **BLUETOOTH, HANDS-FREE**, **IPOD ADAPTER**, **USB**, **KEYLESS ENTRY**, **REAR BACKUP CAMERA**, **ACCIDENT FREE CARFAX**, **CARFAX ONE OWNER**, **AWD/4X4/ALL WHEEL DRIVE/4WD**.CARFAX One-Owner. Clean CARFAX.2018 Toyota 4Runner SR5 4.0L V6 SMPI DOHC 4WDRoswell Toyota is the Premier automotive dealership in southeast New Mexico, and we dare you to compare our quality and price to any other dealer. Recent Arrival!Clean CARFAX.2017 Toyota Camry LE 2.5L I4 SMPI DOHC FWDRoswell Toyota is the Premier automotive dealership in southeast New Mexico, and we dare you to compare our quality and price to any other dealer. Recent Arrival!Clean CARFAX.2018 Toyota Camry LE 2.5L I4 DOHC 16V FWDRoswell Toyota is the Premier automotive dealership in southeast New Mexico, and we dare you to compare our quality and price to any other dealer. **MP3**, **BLUETOOTH, HANDS-FREE**, **IPOD ADAPTER**, **KEYLESS ENTRY**, **ACCIDENT FREE CARFAX**.Clean CARFAX.2013 Nissan Altima 2.5 S 2.5L I4 DOHC 16V FWDRoswell Toyota is the Premier automotive dealership in southeast New Mexico, and we dare you to compare our quality and price to any other dealer. Recent Arrival! **MP3**, **BLUETOOTH, HANDS-FREE**, **IPOD ADAPTER**, **USB**, **KEYLESS ENTRY**, **ACCIDENT FREE CARFAX**.Odometer is 6127 miles below market average!CARFAX One-Owner.2015 Jeep Patriot Sport 2.4L I4 DOHC 16V Dual VVT 4WDRoswell Toyota is the Premier automotive dealership in southeast New Mexico, and we dare you to compare our quality and price to any other dealer.